The information about the Keynote Speakers of ICEMSS2018 is as follows, which will be updated regularly. 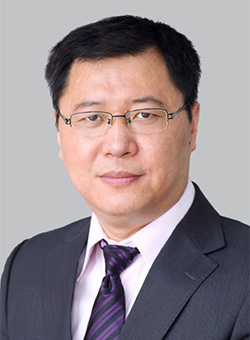 Biography: Dr. Xu Chen, Professor and Associate Dean in School of Management and Economics, University of Electronic Science and Technology of China. His research interests are supply chain management, operations management and healthcare operations management. He has published more than 100 papers on IIE Transactions, European Journal of Operational Research, OMEGA-International Journal of Management Science, Journal of Business Research, International Journal of Production Economics, International Journal of Production Research, Journal of the Operational Research Society, IEEE Transactions on Engineering Management, Annals of Operations Research, Transportation Research Part E: Logistics and Transportation Review etc, among which 70 papers are indexed by SSCI/SCI/EI. He won Best Paper Award of IIE Transactions, The Youth Award of management in China, National Excellent Scientist, New Century Excellent Talents in University. Abstract: This paper considers a pharmaceutical supply chain composed of one pharmaceutical manufacturer and one pharmacy. We investigate how price cap regulation affects pharmaceutical firms’ pricing decisions. We also evaluate the economic and social performance of the pharmaceutical supply chain and assess the risks associated with price cap regulation. The derived equilibriums under different price cap regulations, including retailer price cap regulation, manufacturer price cap regulation and linkage price cap regulation, are compared to that without regulation. Our results show that one-sided price cap regulation will damage the economic performance of the regulated firm, whereas the unregulated firm may gain a financial advantage. The regulation may increase the risk of a supply shortage if pharmaceutical firms cannot cope with the financial loss. In contrast, linkage price cap regulation can be an effective policy for improving both the economic and social performance of the pharmaceutical supply chain. 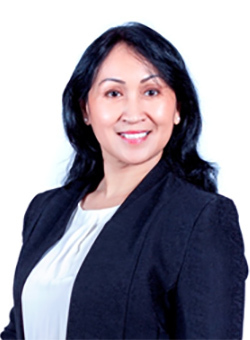 Biography: Dr. Dorien Kartikawangi, Assc. Professor, is the head of School of Communication at the Atma Jaya Catholic University of Indonesia, Jakarta. She is actively giving lectures, not only at School of Communication, but also at the Postgraduate Program of the Department of Communication Science, University of Indonesia, Jakarta. Her research focus are in organizational communication, public relations, corporate social responsibility (CSR) and digital communication. She is awardee of Supersemar Schollarship, Stanvac, Canada World Youth – Ministry of Education and Culture, JICA, and Erasmus+. Dorien involves in various social organization in the national as well as international level: as Head of Collaboration Division of the Indonesia Communication Higher Education Association (ASPIKOM); Head of Research and Competence Division, Indonesian Public Relations Association (PERHUMAS); member of International Public Relations Association (IPRA), and International Communication Association (ICA). Some of her publication in book form include: Fantasy Theme, Business Communication Strategy of Multinational Corporation (2013) and Communication Accomodation for Social Harmony (2015). Dorien is also active writing in various journals, and involves in various academic as well as professional forum in the national and international level as reviewer and speaker. She is also founder of the “House of Kartika Kusuma” which oversees DK Consulting, a Public Library and a Batik Gallery. Abstract: In today’s changing world, some corporations in Indonesia have to make special effort for sustaining strong corporate cultures. Their effort is successful as it is led by corporate heroes who personify the corporate’s values and provide role models for employees to follow. The well nurtured cultures enable the companies to get through the enduring public distrust. By building strong corporate cultures, the corporate heroes establish integrity and credibility which enable them to develop effective corporate communication strategies for strengthening corporate identity, image, and reputation. Through the effective communications, they can gain understanding and support from their different stakeholders. The stakeholders’ understanding and support help the companies achieve their goals and good reputation which result in high credibility. Consequently, the companies are able to make progress through the passage of enduring public distrust. The public distrust is enduring in Indonesia because some of the business leaders are continually involved in some ‘communal acts of betraying public trust’–popularly known as ‘undercover corrupt practices’—of many officials of all branches of government. In short, the corporate heroes and the effective corporate communications they establish are essential for corporate survival in Indonesia’s changing environment. Abstract: It is now widely recognized that one of the biggest challenges facing businesses is how to identify, develop and retain talent which will lead to business success and sustainable competitive advantage. Various studies continue to show that this remains a top concern for senior management globally. While most of the studies have been conducted in the west, I argue that this challenge is equally vital for emerging economies. In this presentation, I will review what we know about talent management, and drawing from my on-going work on Africa-Asia relations, I will locate the discussion within the emerging market context with specific reference to Africa and China, and propose theoretical perspectives that might drive further research. I will also examine the implications of this discourse within the context of China’s Belt and Road policy initiative as many Chinese businesses seek investment opportunities in Africa. 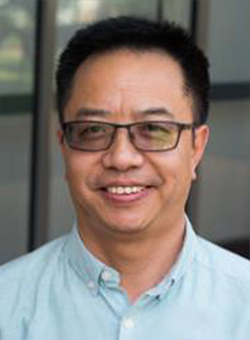 Biography: Dr. Benxiang Zeng holds a PhD in Environmental Tourism Management from the University of Queensland, Australia. He is Senior Research Fellow at Charles Darwin University, Australia. Dr. Zeng is a multidisciplinary researcher. 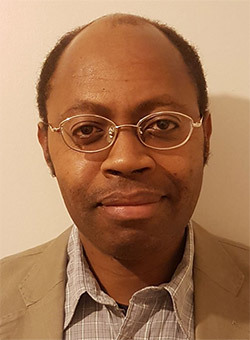 His research interests include regional development, industry economics, tourism management, community participation, natural resources management and social sustainability. He has a strong research focus in socio-cultural, economic and environmental impacts of industries such as tourism and services on local communities either in Australia and China. Dr. Zeng has led, coordinated and participated in more than 40 research projects at different levels and scales. He supervises postgraduate students studying tourism economics, regional economic development and sustainability. He has produced more than 70 scholarly publications including papers published in prestigious international journals, such as Tourism Management. Abstract: Poverty is not simply an economic issue, but a social, environmental problem, and an ethnic and political issue as well. Government failure, market failure, the lack of local capacity and other issues in the practice of poverty reduction encourage other actors to participate in anti-poverty campaigns. Compared to poverty reduction, sustained livelihood improvements in rural poverty-stricken areas have seemed less successful, to a great extent because of lack of sustainable poverty alleviation and gap-closing mechanisms. This is a real challenge for China, as well as for the rest of the world. Since the 1990s, tourism as an instrument to reduce poverty has been both an important practice and research topic, particularly in developing countries. However, the previous study suggests that the conventional tourism development model fails to generate substantial benefits for the poorest people, but to some extent enlarges the gap between the poor and the rich in the community, and subsequently causes more social problems. To address this issue, different “Pro-Poor Tourism” (PPT) modelshave been explored, such as (PPT). Accurately targeted assistance from the government and the external stakeholders to the poor is the key to initiating these models. The social enterprise model, which mainly focuses on the generation and protection of social values, while applying modern business philosophies, could be a vehicle to sustainable development. Corporate social responsibility (CRS), social entrepreneurship and successful social enterprises would play an irreplaceable role in this process. This study reviews the related research progress in China, and aims to point out the future directions in this field.